There are a number of ultra-luxurious SUVs already on the market, but none currently from Aston Martin or Ferrari. But, that’s all changing! These two brands are working on their first SUVs as they look to get a piece of the SUV market pie. They both are well-known brands that celebrities and high rollers alike love. So, while they may be a bit late to the SUV game, we’re sure people will be lining up for these first-of-their-kind models. We’ve known about Aston Martin’s upcoming SUV for a while, but Ferrari just recently announced the expected release date for its entry into the segment. It’s a bit ironic because Ferrari, for once, is playing catch-up to Lamborghini! Of course, Lamborghini’s Urus SUV went on sale this year. It’s been a huge hit. But, don’t get too excited about Ferrari’s future SUV just yet! It’s still reportedly four years out, so the wait there is significant! Ferrari revealed that it’s planning to release its first SUV at a recent product plan announcement event. The new SUV is actually just one part of a much larger product launch effort by the brand from Maranello. Ferrari’s overall plan includes 15 new product launches between now and 2022, which is quite ambitious. The SUV is expected to arrive at the end of that time range in 2022. As for the name of Ferrari’s first SUV, the brand chose “Purosangue.” That’s Italian for “thoroughbred.” The brand also likes to refer to the vehicle as the FUV, or Ferrari Utility Vehicle. That’s because, as Ferrari’s CEO told the media, he hates the sound of SUV in the same sentence as Ferrari! Who would have thought, right (sarcasm here)? The late Sergio Marchionne, who was opposed to a Ferrari SUV at first, actually said he wanted to launch the SUV in 2020. But, Ferrari says it’s taking all the time it needs to get this SUV, or FUV, done right! When it does arrive, you can expect the vehicle to be equipped with a hybrid powertrain. That’d help Ferrari reach its goal of having 60 percent of its vehicles be hybrid by 2022. 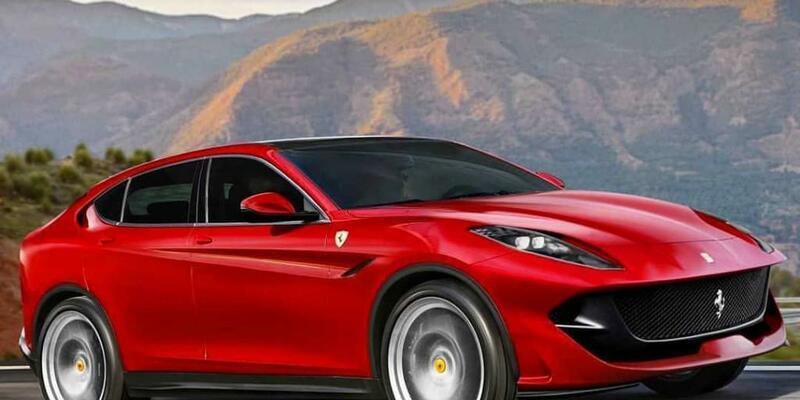 We have to admit, it feels odd to say a hybrid Ferrari SUV will eventually be making an appearance on the market, but the brand obviously sees the opportunity there! It’s also reported that Ferrari will be moving back into small-displacement V6 engines. Paired with a hybrid system, such engines could power most of the vehicles in the lineup. You’re probably already more than aware that Ferrari vehicles do not come cheap and this upcoming SUV will have a hefty price tag. However, the sales marketing chief for the brand, Enrico Galliera, did warn that the average retail price for Ferraris will be increasing “significantly” in the years ahead. 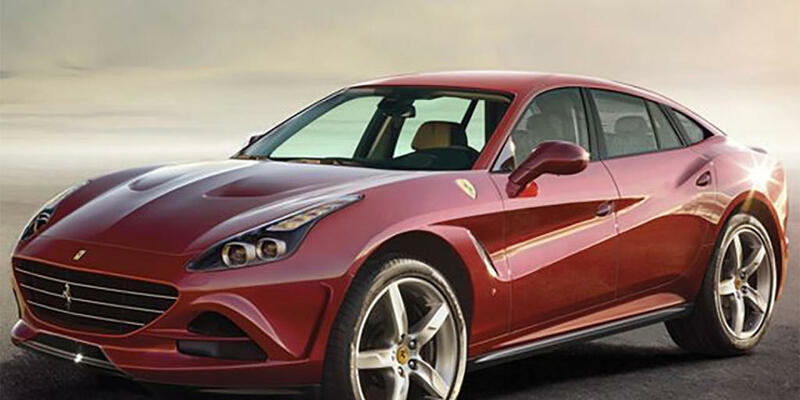 So, if this new Ferrari Purosangue SUV (or FUV) entices you, you should probably start saving now! If you don’t want to wait four years for the Ferrari SUV, know that Aston Martin is also preparing to enter the ultra-luxurious SUV market realm! The brand plans on launching its first-ever SUV next year. It will be the production version of the Aston Martin DBX concept and the automaker is expected to give it the “Varekai” name. Autocar reports Aston Martin applied to register the trademark, which has people thinking it will be named as such. Whatever the name, Aston Martin predicts its SUV will be popular! 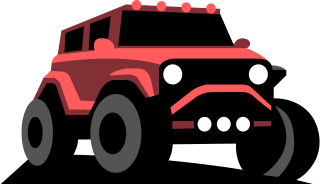 During the automaker’s share prospectus where it outlined the company’s plans to potential investors before recently going public on the London Stock Exchange, it even said it expects sales of the SUV to reach 3,850 a year! That’s compared with an estimated 3,250 for the newly launched Vantage, which is the company’s entry-level sports car. Overall, Aston Martin expects to grow sales beyond 10,000 vehicles a year by 2021. That would represent double the volume it achieved in 2017! The company is betting heavy on the SUV segment to help them get there as it expects the upcoming Varekai SUV to account for more than a third of all of its sales. 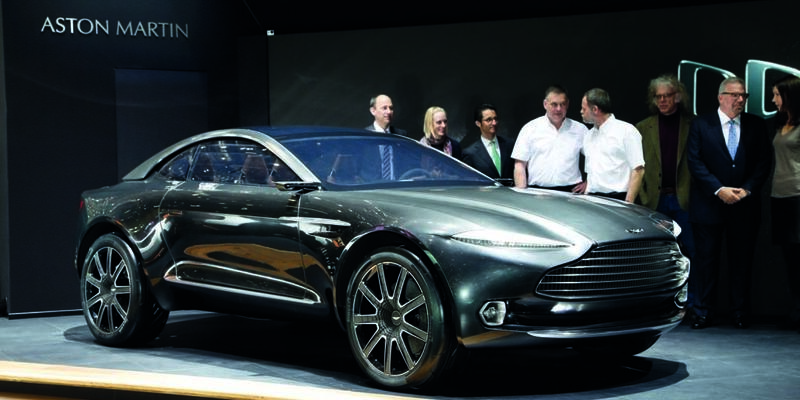 “The DBX concept is a challenge to the existing status quo in the high-luxury GT segment. 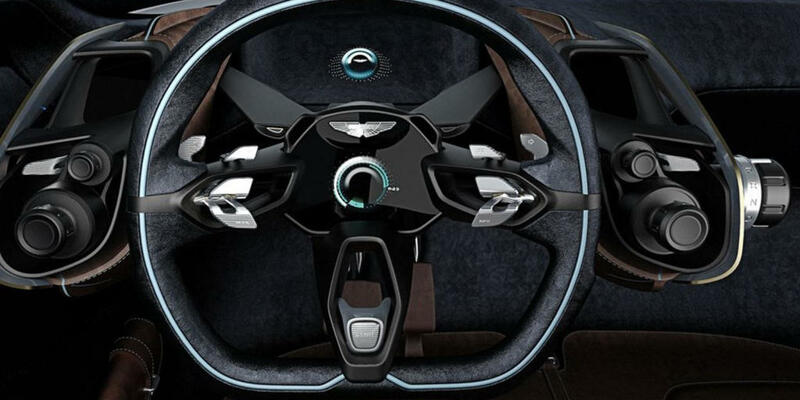 It envisages a world, perhaps a world not too far away, when luxury GT travel is not only stylish and luxurious but also more practical, more family-friendly and more environmentally responsible,” said Aston Martin CEO Dr. Andy Palmer during the concept’s 2015 debut. Back then, it only had two doors. The production version of this SUV will have four, but it retains the same muscular stance as the original concept. Aston Martin also recently made more news about its upcoming SUV when it revealed that the vehicle will be powered by the same twin-turbocharged 4.0-liter V8 engine as the Vantage and DB11 coupe. That’s instead of the heavier V12 engine. Something interesting to note there is that the V12 is supplied by Ford in an agreement with Aston Martin that runs out in 2021, potentially putting its future use in question. But, the V8 might just make more sense all-around because this SUV is sporty in nature and it just seems to fit! A hybrid version of this SUV could also reportedly arrive later on, but is not necessarily expected at the start. As for having an environmentally-friendly SUV, Aston Martin is actually also readying an electric crossover to be launched under the Lagona brand in 2021. That SUV will target the Rolls-Royce Cullinan as its main competitor. Aston Martin believes the Verakai will, though, get the company off to a great start in the SUV segment. It even believes the vehicle will help it win over more female customers. It’s expected to compete with the Bentley Bentayga, Lamborghini Urus, and Ferrari Purosangue (once released). Full production of the vehicle will start in early 2020 in a new plant in St. Athan, Wales. You can also expect this SUV to be far from cheap!